Now these may have some... hmmm... questionable connotations, from risqué stripper-esque vibes to a more punky, rebel, Vivienne Westwood type era. But nevertheless, these classic tights are making a major comeback this A/W. They're perfect for the period before you whack out those 80+ denier tights as they're more interesting than plain black, and are just enough to keep you warm before the temperature drops to sub 0. 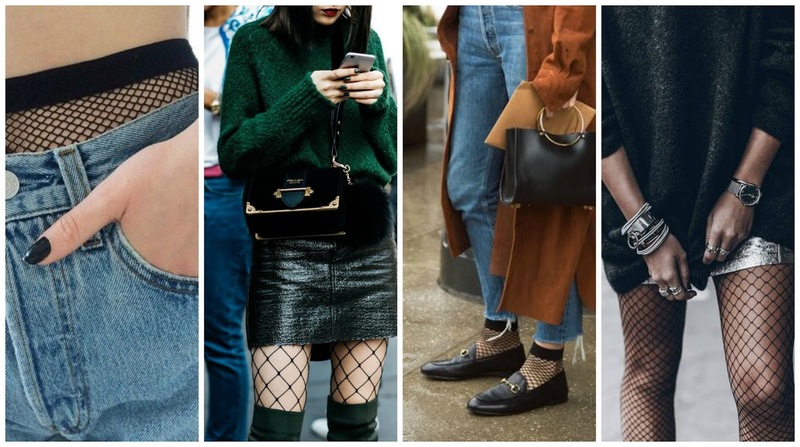 Pair them with a patent skirt or velvet dress to channel even more of this season's trends, or wear them under you ripped skinny jeans to add an interesting detail to your classic jumper and jeans combo. If you want to see the full look from which this photo is taken, then stay tuned, because that will be up Wednesday, but for now, take a look at some inspiration below! 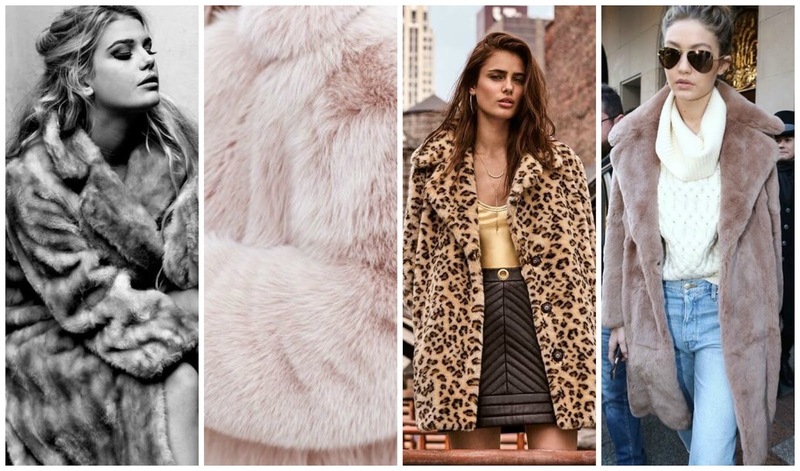 An essential every A/W, this year I'm loving all the leopard print and dusky pink pieces. Channel your inner p diddy with one of my picks above! Now I really don't know the proper term for these, but you know the ones, right? They've been on just about every fashion blogger these past few weeks. I managed to get myself the zara version a couple of weeks back, which I was rather chuffed about. It has been sold out for weeks and was the last on the shelf, so of course, I needed no convincing! This season's hottest trend, you can find just about anything in this ultra luxurious fabric, from bomber jackets, to ankle boots, to oversized tees. If you haven't caught up on this week's posts, have a read of my last post here, in which I chat all about how I style velvet for the daytime, and where to get the most luxurious velvet blazer ever! This OG 90s style is now back thanks to Demna Gvasalia's A/W 16 collection, in which models strutted down the catwalk in oversized, off-the-shoulder versions of this classic. The great thing about this trend? 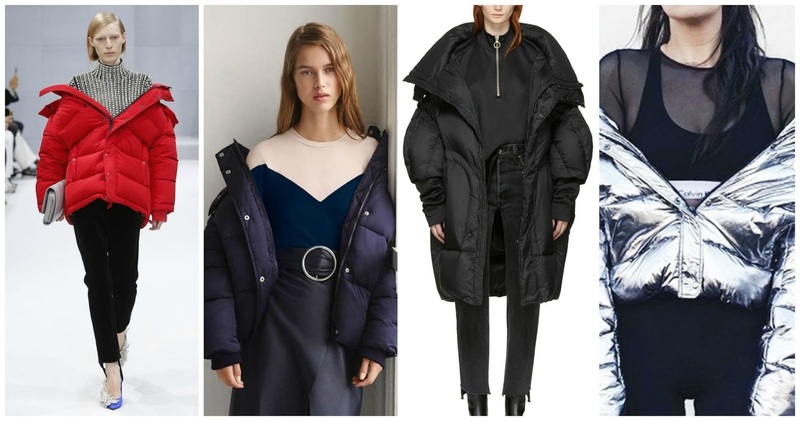 It's a rare occasion where fashion meets practicality, as the puffer jacket won't only have you looking on trend, but will keep you super warm during the coldest winter months too! Get one in red to really channel the Balenciaga look. So that's all from me today, folks! 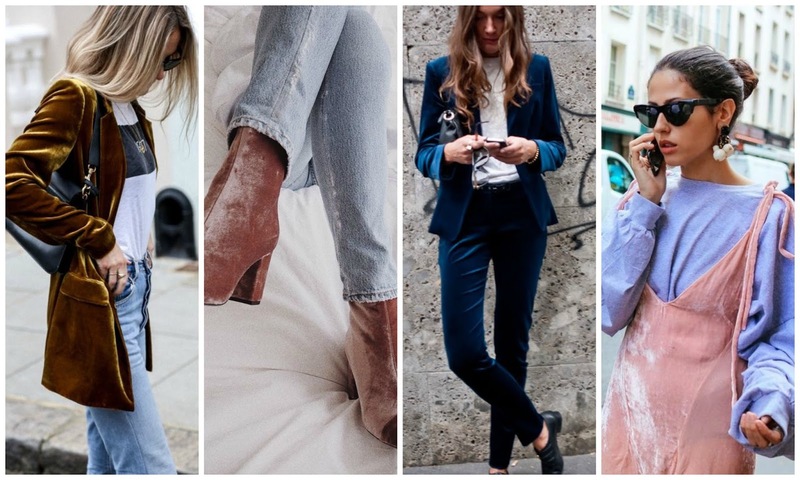 Which trend are you loving at the moment? Or even, which one are you hating? Let me know in the comments! Also, I've actually been on a roll this week and uploaded 3 new posts (including this one). If you haven't caught up, you can read all about my experience using designer outlet sites here, and my ongoing love affair with red velvet here. There'll be another 3 posts this week (I really am on a roll you guy!) Including, my christmas gift guide for the last minute shopper, an outfit post with the perfect chunky knit, and another going live tomorrow in which I'll be chatting about insecurity in my first ever think piece style post. If any of this sounds up your street, you could follow me on bloglovin here so you don't miss a post!